However, the 2018 Gateway Dirt Nationals is an invite only event for Dirt Modified and Dirt Midget competitors. Ryan Gillmore wanted in there! For the 2017 event, it was a 50/50 split. Half of the entries were regular entries. The other 50 came via invitation only. For 2018, there is no regular entry available for dirt modifieds or midgets. Dirt Late Models are the only class lacking invitations. This has created a social media campaign of sorts from several drivers. Most notably of these is Ryan Gillmore. He’s created several comical videos to promote his campaign. The videos below include appearances by Scott Bloomquist, Bobby Pierce, Sammy Swindell, Kyle Busch, Kyle Larson, Brad Keselowski and more. All of which featured voice overs from Ryan Gillmore. Mission accomplished. 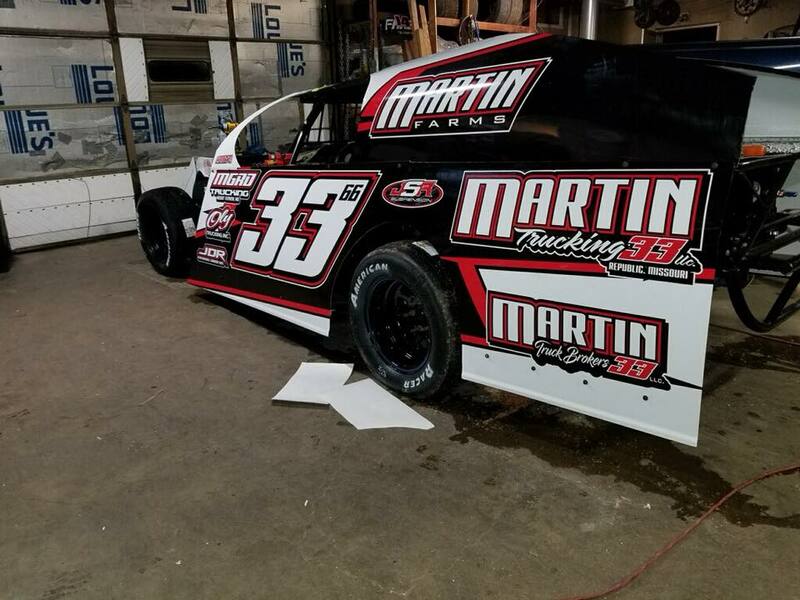 Ryan Gillmore’s #33 A Mod will make an appearance inside The Dome. Gillmore did not run in the debut Gateway Dirt Nationals event in 2016. However, he did run last years event. On Friday, December 14th, 2017, Gillmore saw the track for the first time from behind the wheel of his dirt modified. He qualified 35th of 53 in Group A. He then finished 4th in his heat race as Kenny Wallace took the win. That result sent him to the LCQ on December 15th where he finished 12th in LCQ #1. He missed the main event that night. On Saturday, the final night of the 2017 show he had one chance to make it into the main event. Gillmore finished 13th in LCQ #6 that night. He missed a transfer spot to the A Main as Ray Bollinger took the win.